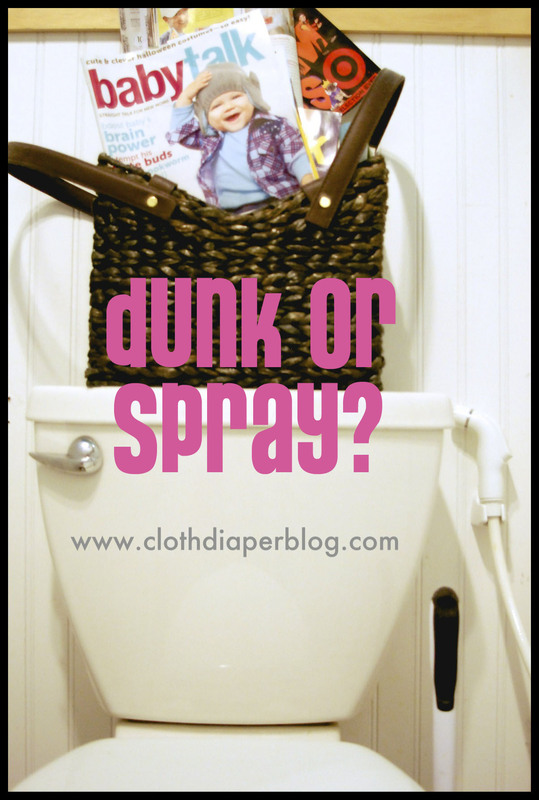 Cloth Diapers, Should I dunk them or spray them? The issue of cloth diapers versus disposable diapers is an old debate; each diaper has its advantages and disadvantages. The best way to arrive at a sure decision about which type serves you best is to fully educate yourself on the features of both to find which diaper works more in your and your baby's favor. Why Are Cloth Diapers Best for Your Baby? Conventional disposable diapers offer parents significant convenience in the way of maintenance and disposal, but many are uninformed as to the disadvantages of using them. Virtually all disposable diapers contain a long list of toxic ingredients that could do great harm to your baby if ingested including bleach derivatives. They also contain sodium polyunsaturate, a type of absorbent crystal no longer used in feminine care products due to its link with toxic shock syndrome. 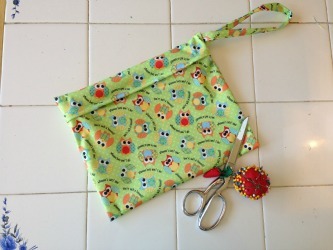 DIY Tutorial: Zippered Wetbag, Sew your own! For this tutorial you will need the following: PUL (Polyurethane Laminated Fabric), a zipper, sewing machine, coordinating thread, and a zipper foot for your sewing machine. The size that you make this is up to you. You can make it large or small and still follow this tutorial. Mine is a small/medium that is the perfect size for your diaper bag. 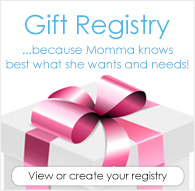 It can fit 3-5 dirty diapers or one change of clothes for a toddler or preschooler. Why YOU should choose cloth wipes over disposable wipes! In my opinion a Wet bag is a quintessential cloth diaper accessory; one that really should be on everyone’s “must haves” list. Whether it’s a large bag for storing dirty diapers before laundry day or a smaller bag to take with you on the go proper washing and care will lengthen the life of your wet bag; I’ve always wondered though how often do I need to wash my wet bags? 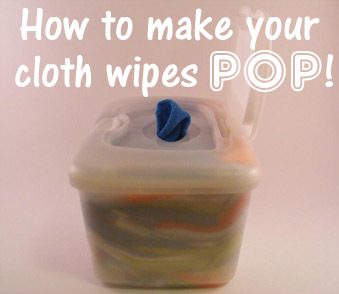 Cloth Diaper Tip: Fold your cloth wipes and make them "POP"
Learn how to fold your cloth wipes and make them pop up from a disposable wipes container. We promise, once you see just how convenient cloth wipes can be you'll never look back! My CJ's BUTTer is grainy. Why and how can I fix this? 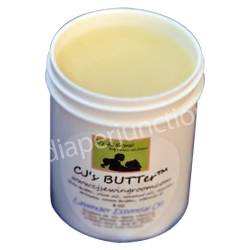 Recently questions have come from concerned parents who's CJ's BUTTer seems a little grainy. What's wrong with it they ask, has it gone bad? In this post we address the "grainy" issue, what causes it and how to fix it if you're interested in that. 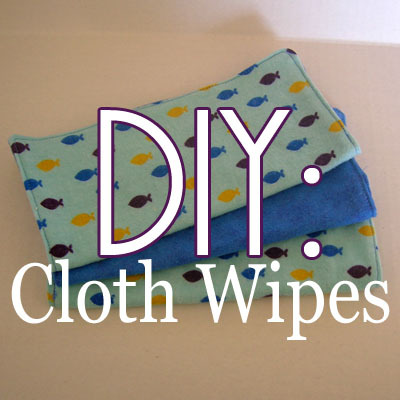 Cloth Diaper Tip: DIY Cloth Wipes Tutorial! When I started using cloth diapers, I had no clue that I could use cloth wipes. I quickly got tired of spending $12 every month on disposable wipes. I thought, "There's got to be a less expensive option." One of my friends told me about cloth wipes. I decided to try my hand at making them, and you can too. 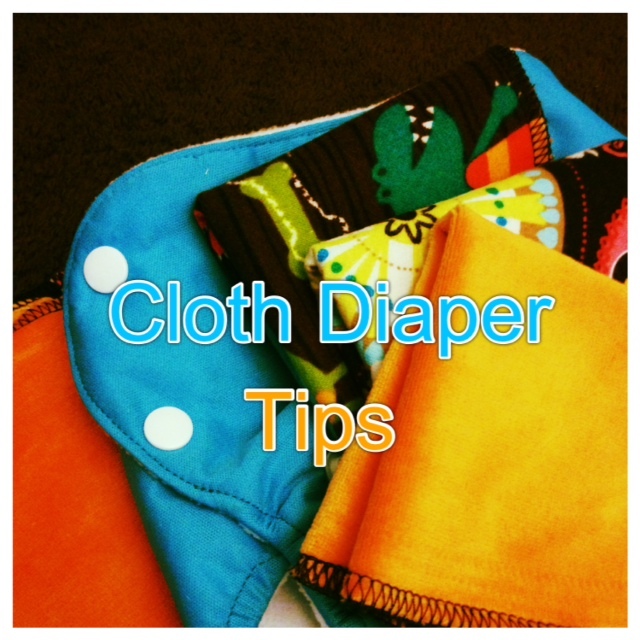 Cloth Diaper Tip: Get more use out of your covers and wetbags! 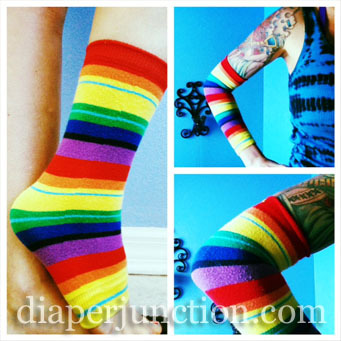 Looking for tips on how to get more use out of your cloth diaper covers or wetbags? Then you've come to the right place! This post covers some easy ways to use your diaper covers and wetbags more between washings. Second Look: New Perfect Pail for Cloth Diapers from GroVia! New products often come along so fast that if you're not online during their big debut you might not even hear about them. If you are interested in cloth diapering your baby, then you are probably interested in using cloth diaper wipes as well. There are two different methods of how to use cloth diaper wipes and it is up to you which one you choose. Here are both of them. Second Look Saturday: Wetbags, are they really worth it? 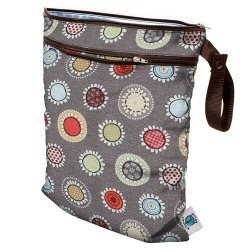 Wetbags can often be overlooked by frugal families as a cloth diaper accessory that's not actually a necessity. You know, they're right! 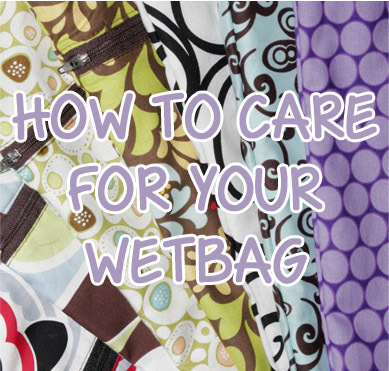 However there are many reasons to own a wetbag and many uses for it beyond cloth diapering!